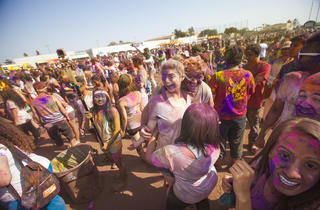 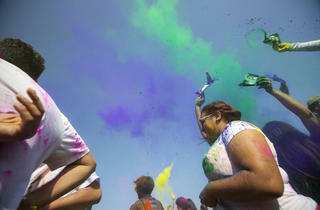 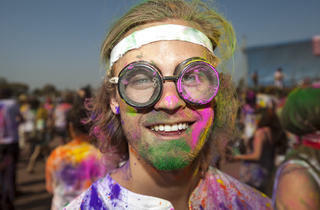 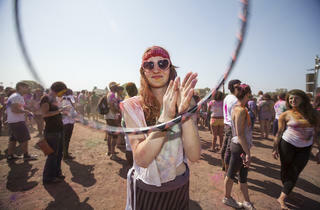 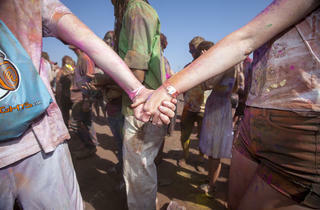 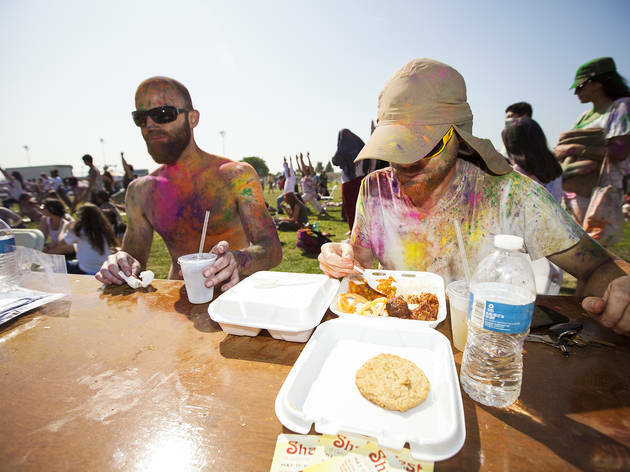 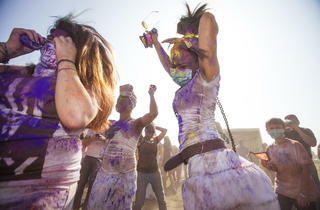 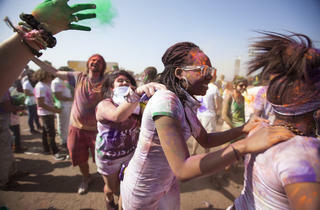 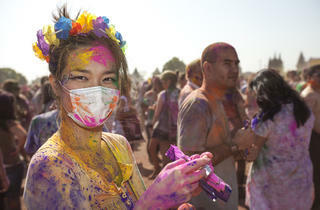 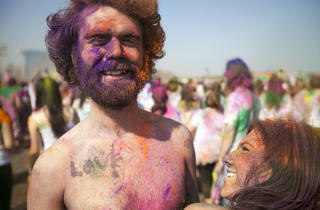 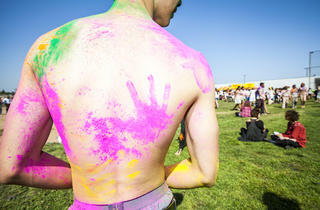 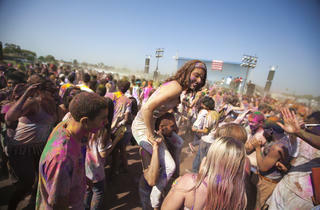 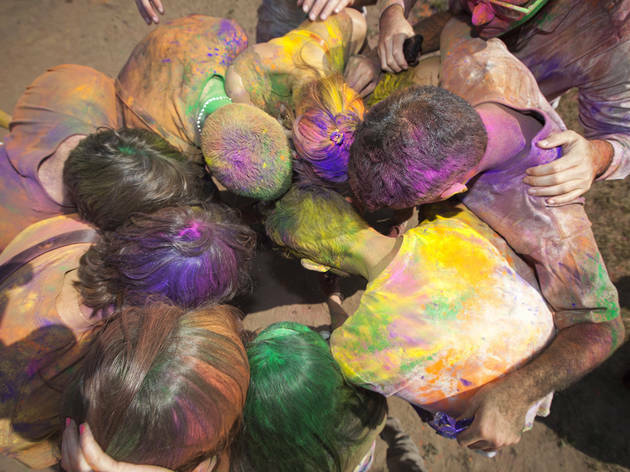 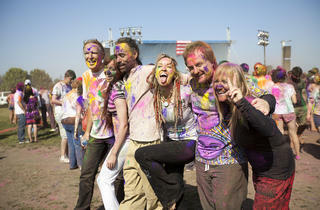 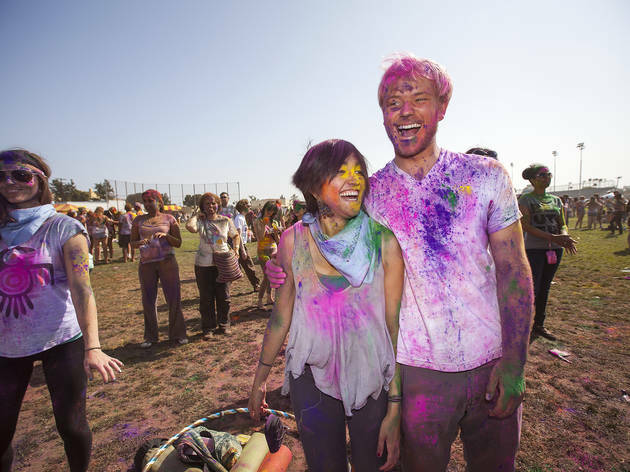 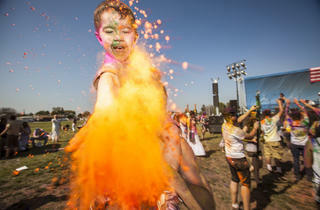 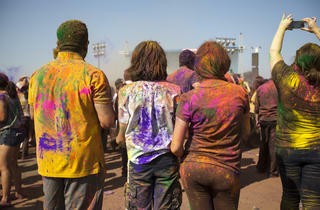 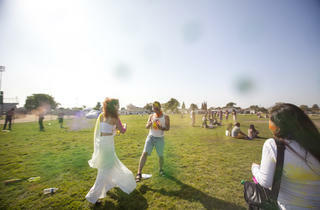 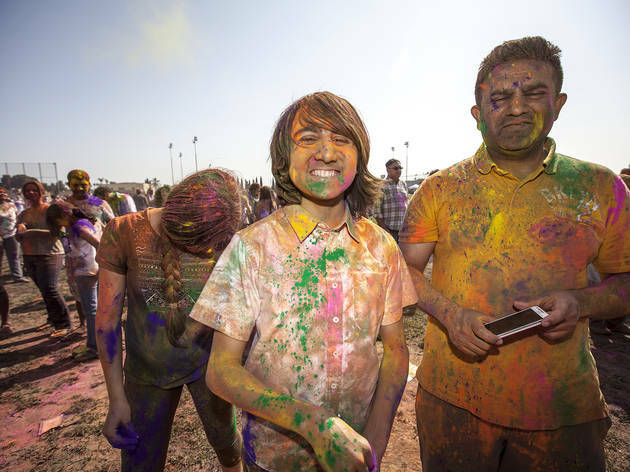 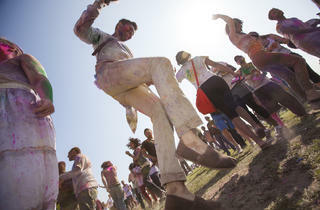 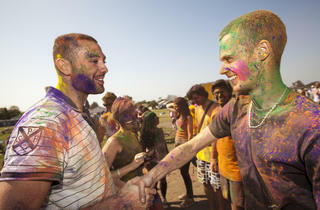 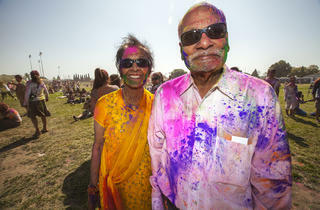 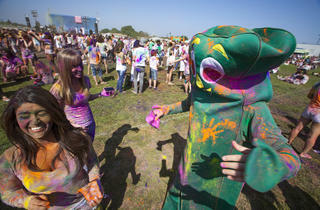 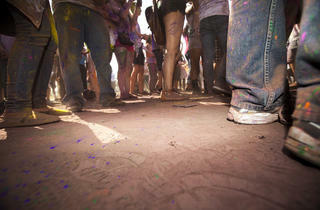 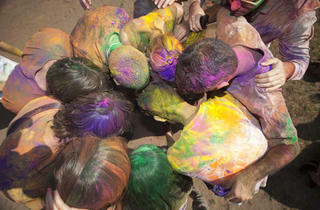 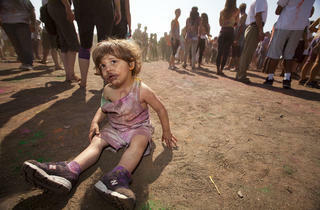 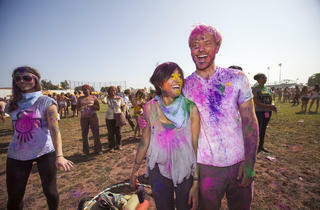 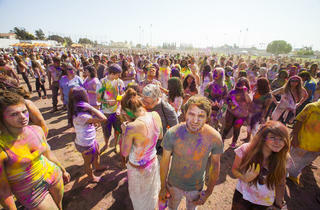 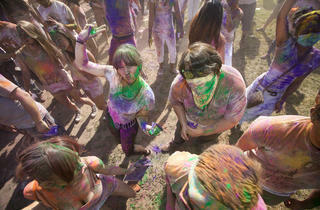 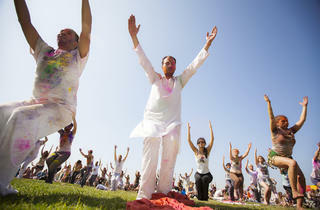 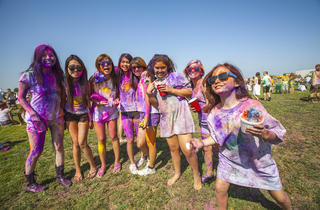 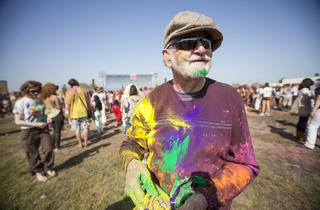 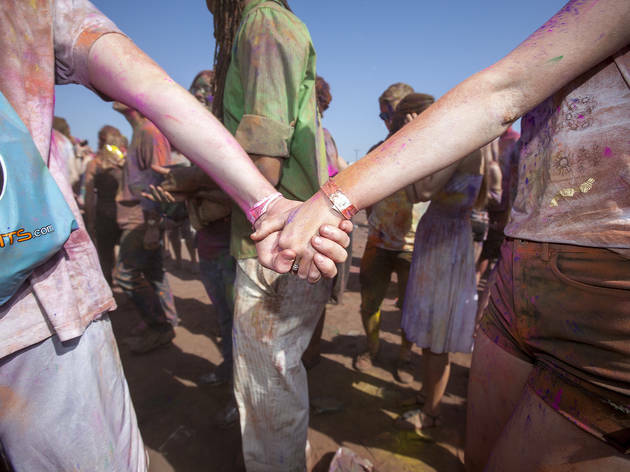 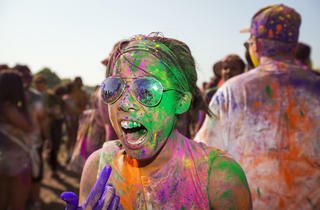 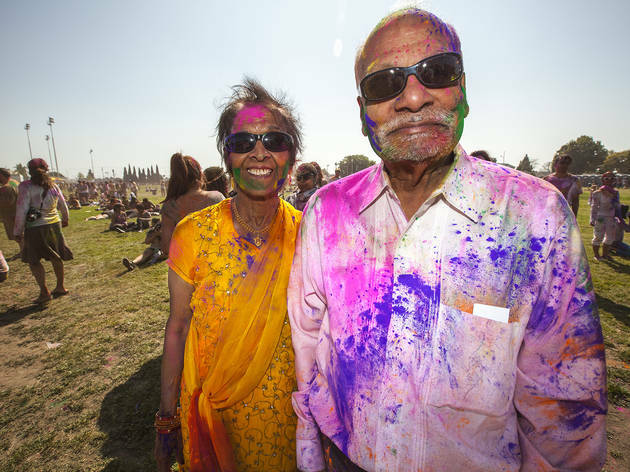 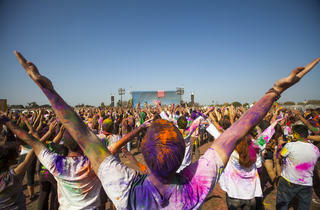 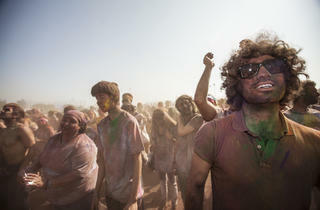 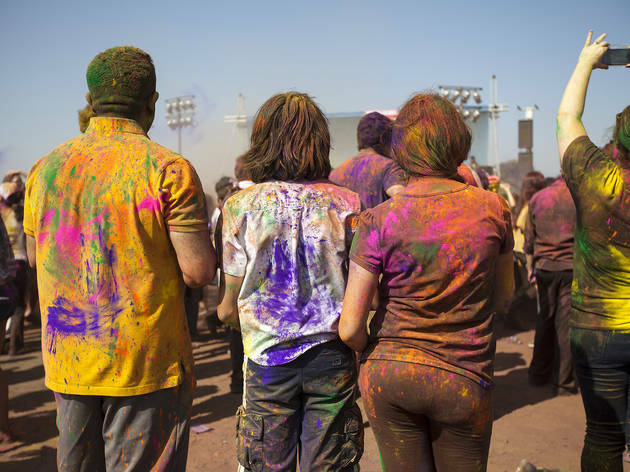 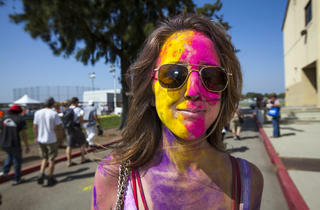 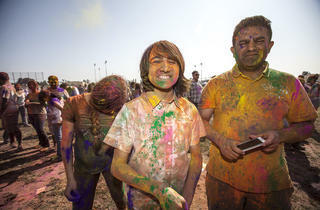 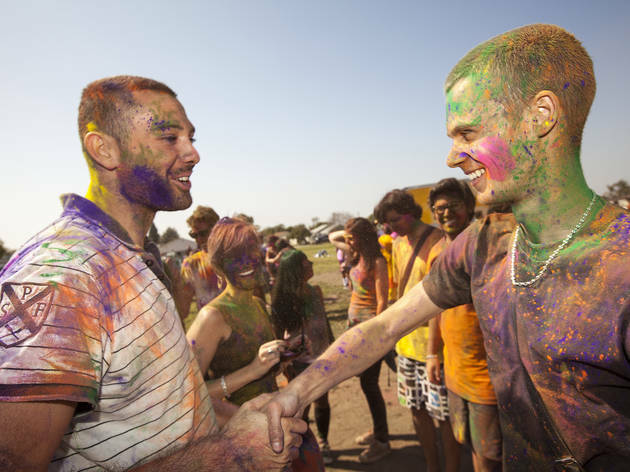 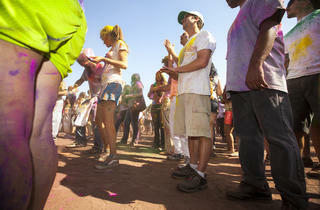 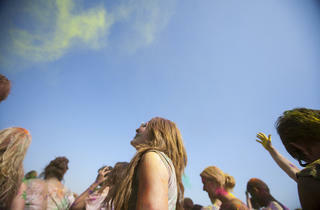 See how the city celebrated the colorful, Indian tradition of Holi to ring in spring at the first Festival of Colors LA. 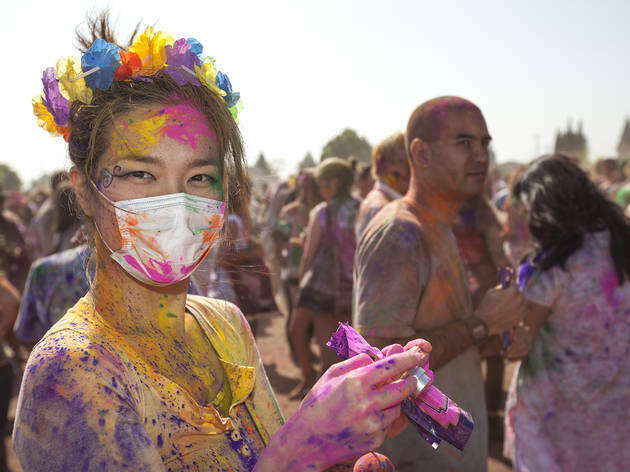 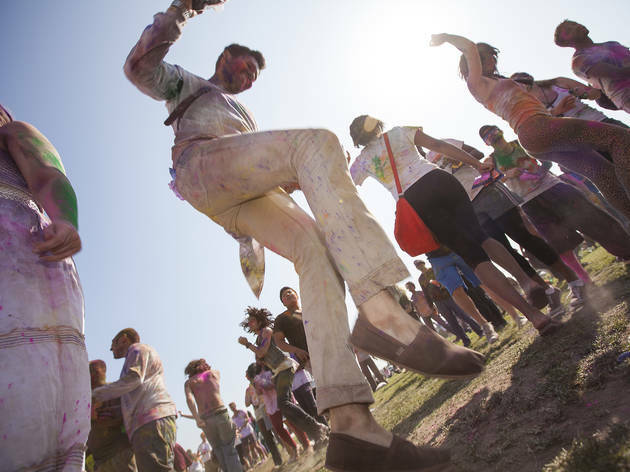 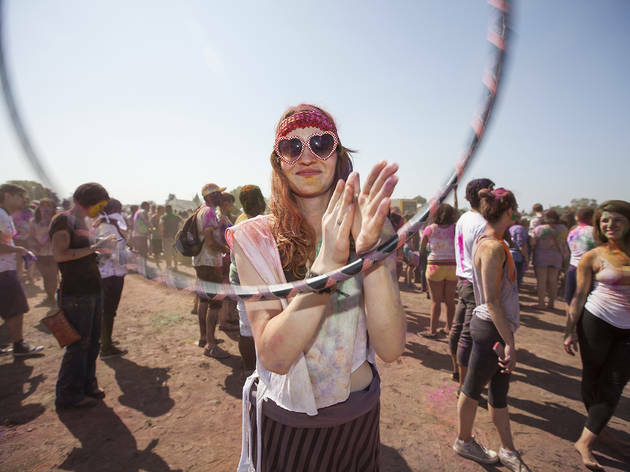 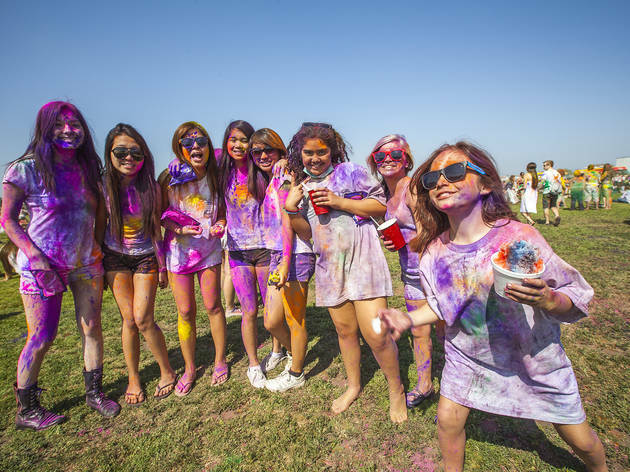 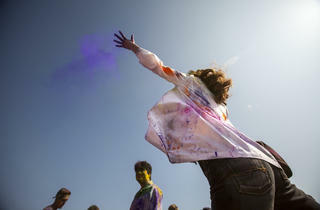 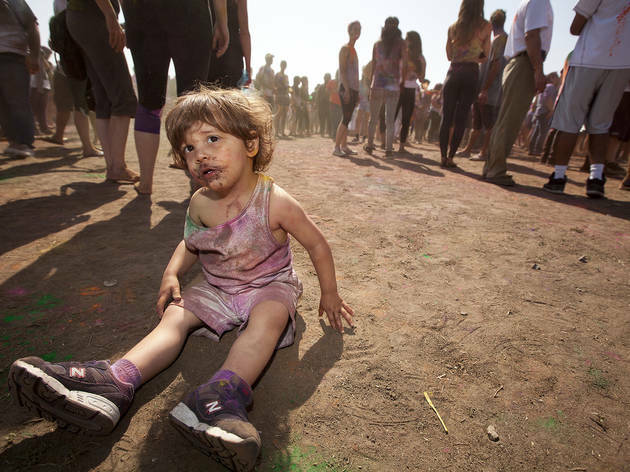 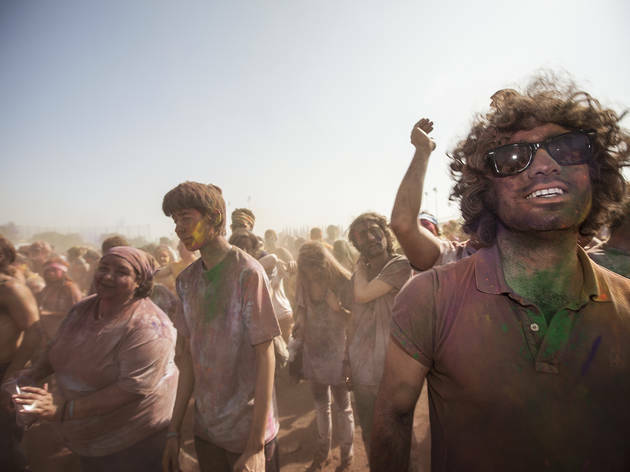 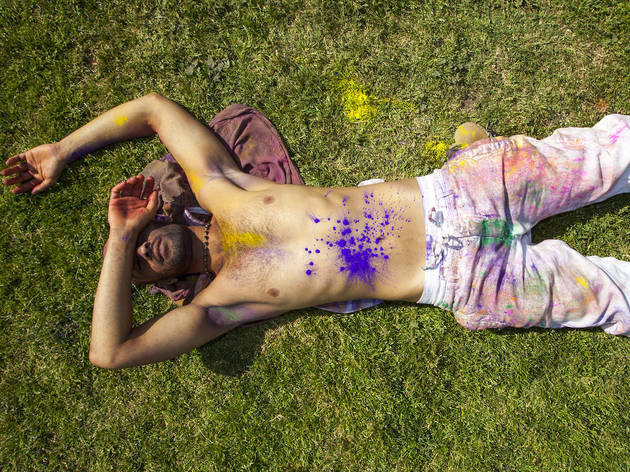 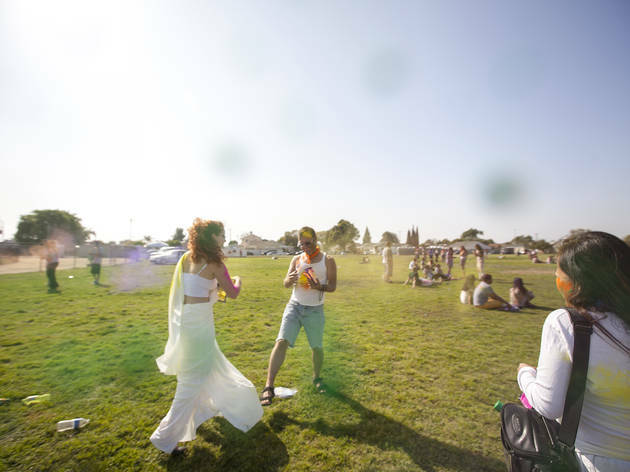 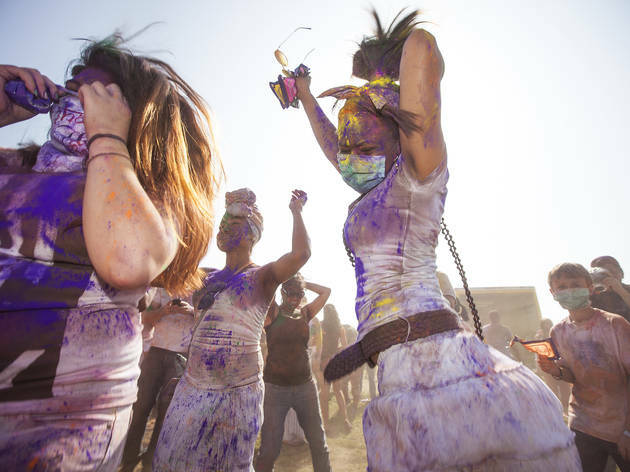 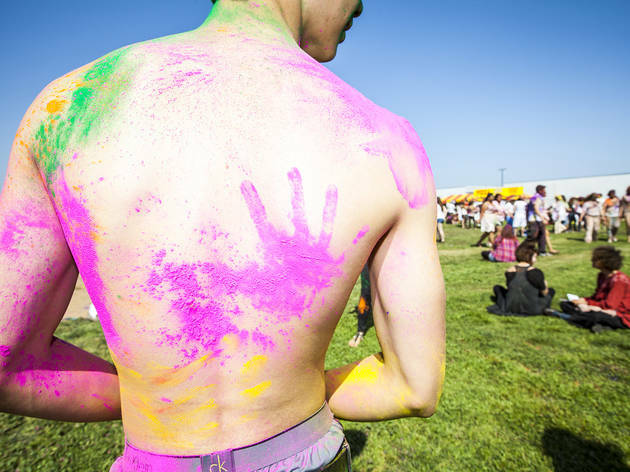 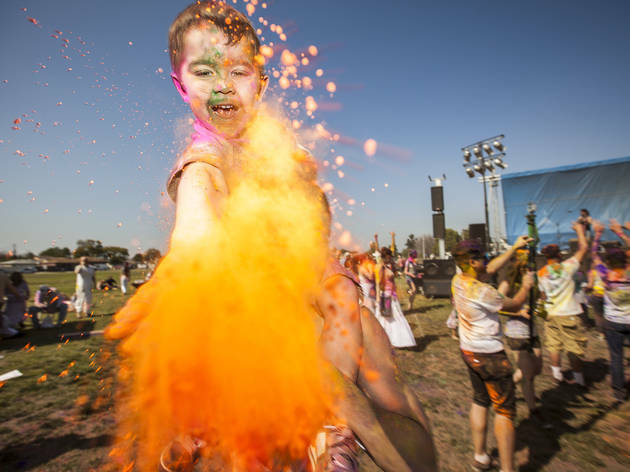 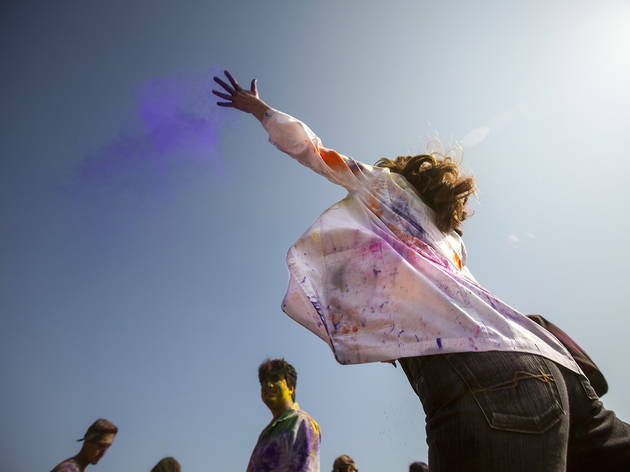 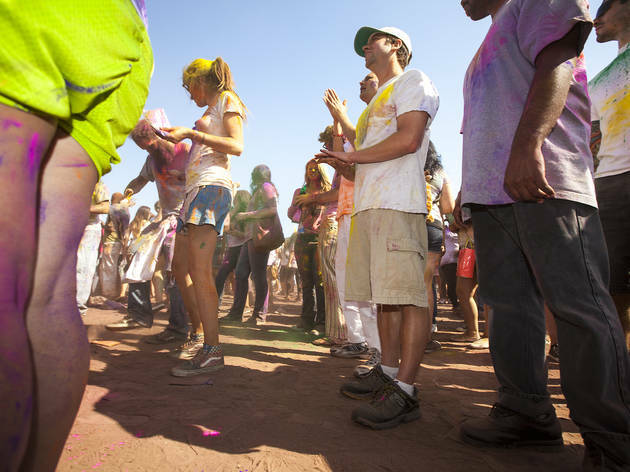 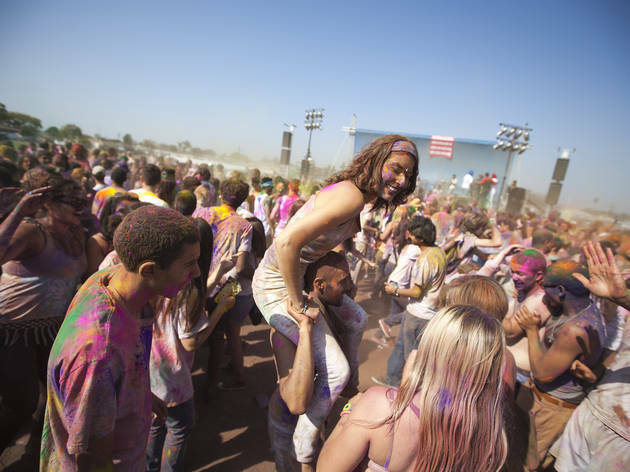 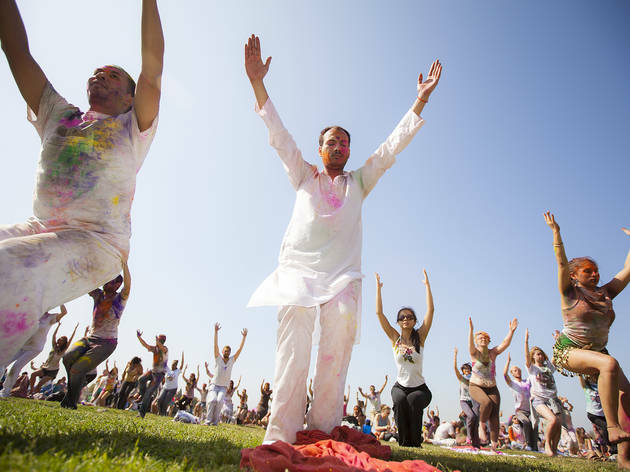 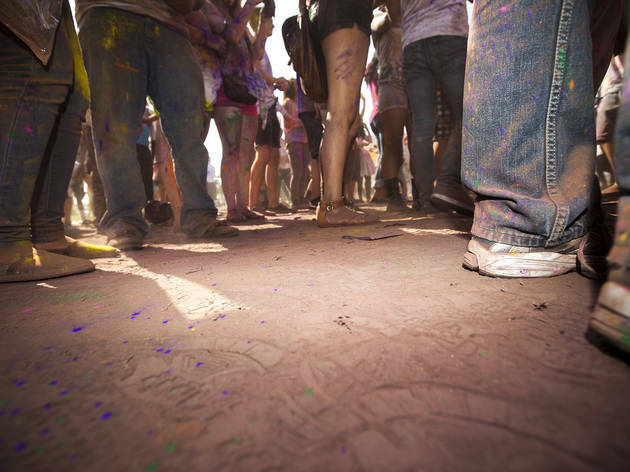 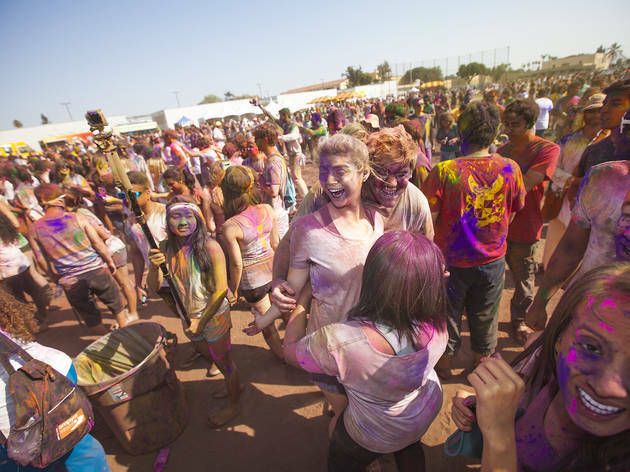 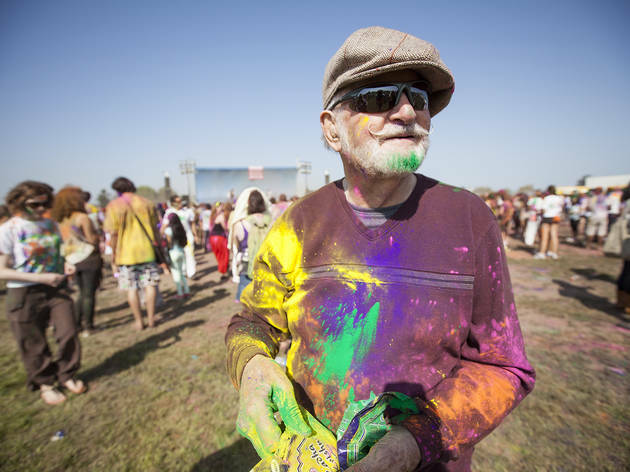 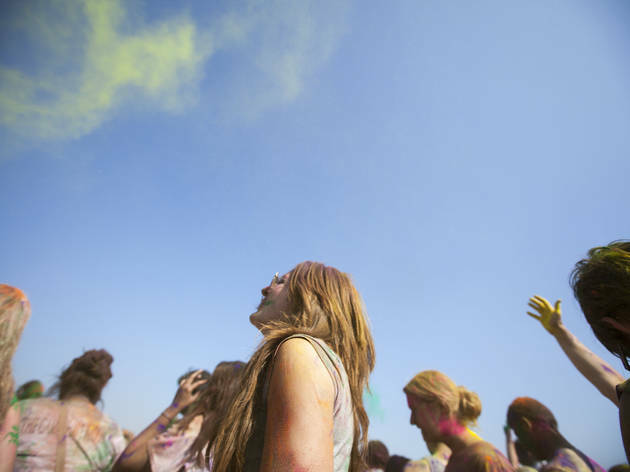 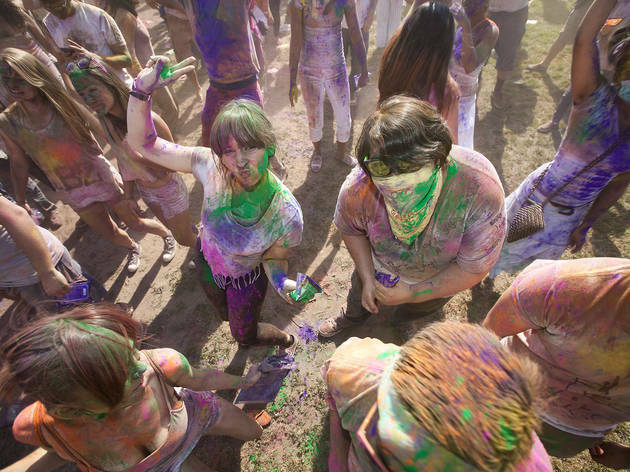 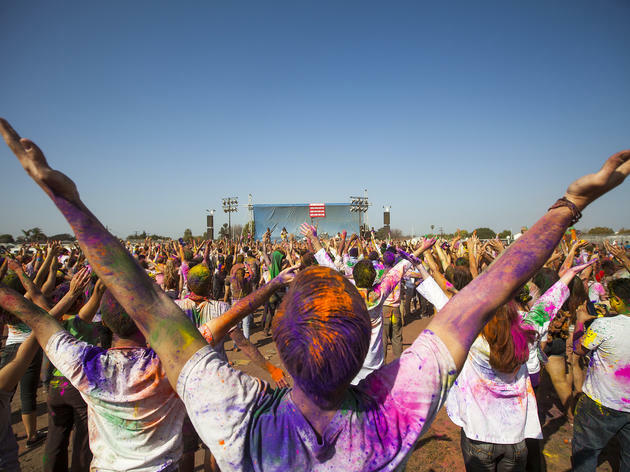 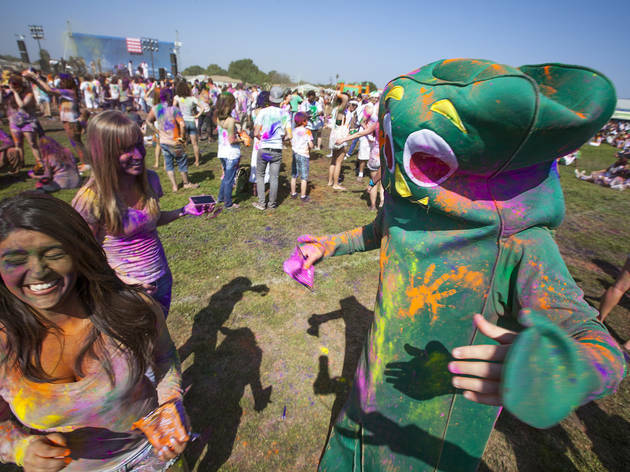 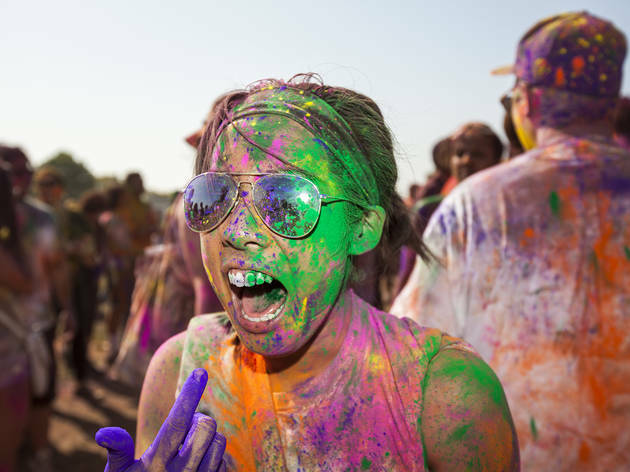 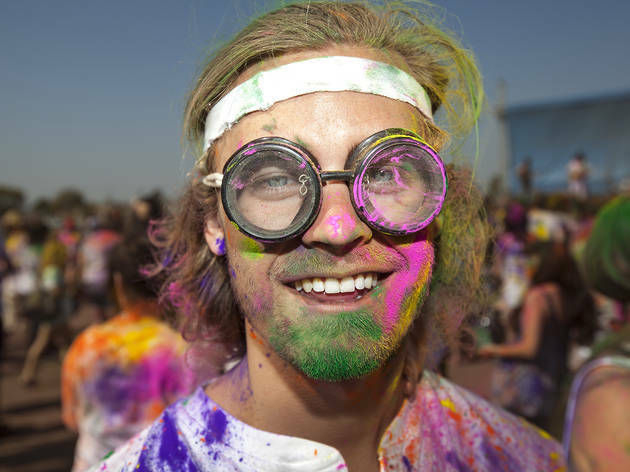 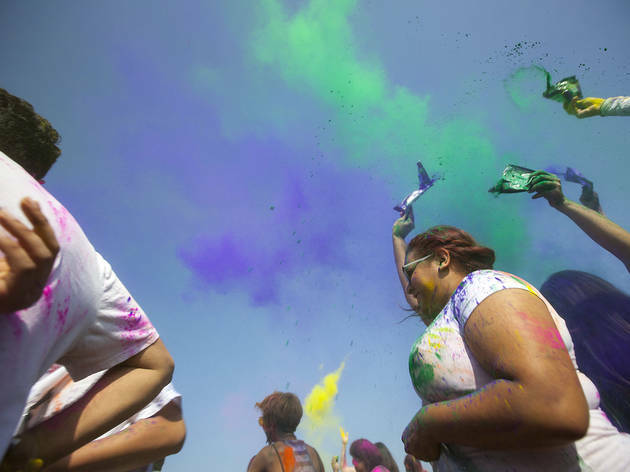 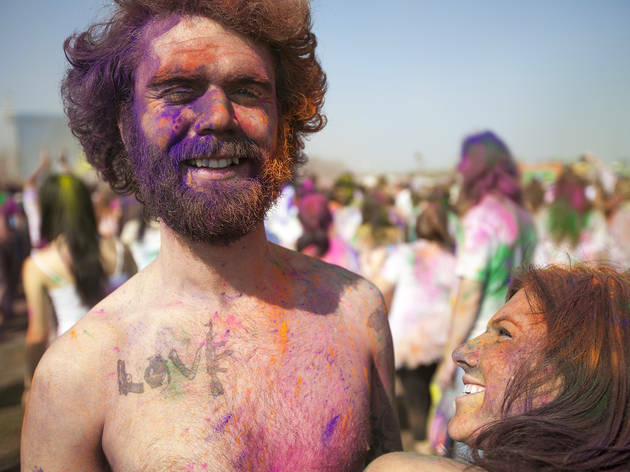 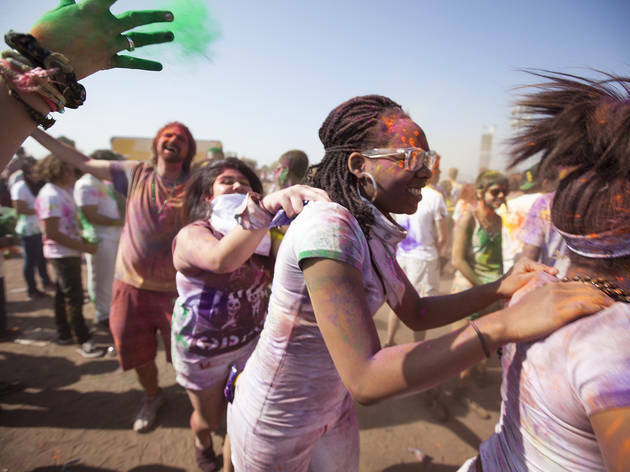 Though the first Festival of Colors LA adapted the Indian custom of Holi—releasing electric blue, green, magenta and yellow powder into the sky to celebrate spring—the vibe at the event was pure SoCal spiritual. 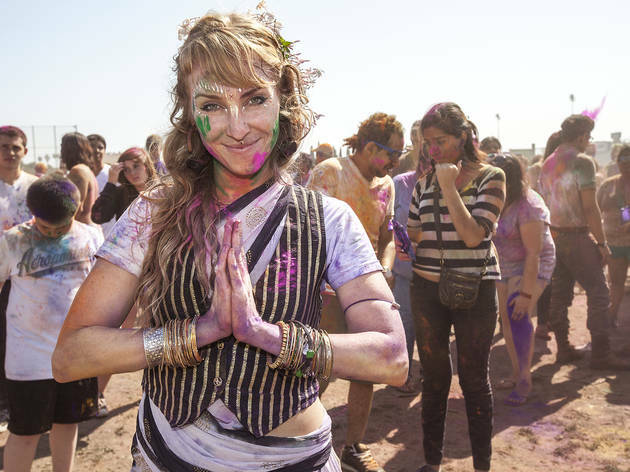 Beneath the powdered cloud, which was revived by revelers every hour, 9,000 color-smeared Anglenos chanted, danced and practiced yoga in unison. 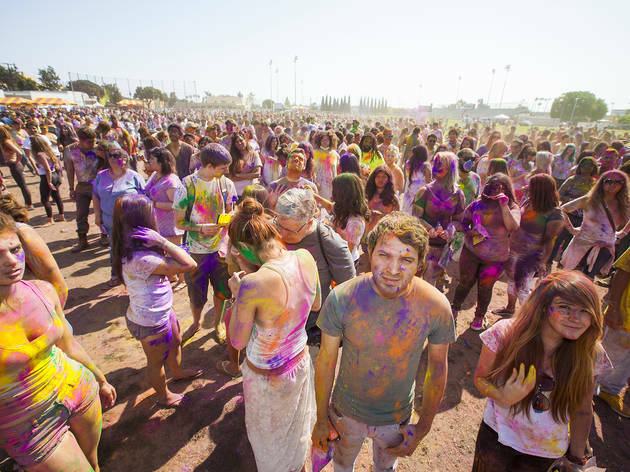 Never mind that animated land in Anaheim: With festival-goers sporting ear-to-ear perma-grins and engaging in ever-flowing group hugs, on March 16 Norwalk, CA was the happiest place on earth.